Argon522 and 1 Guest are viewing this topic. hmmmm. Fraser that's very interesting, but I'm not sure if you have understood me correctly. I haven't added flux between battery and tab, but between tab and electrode. What was your rationale for doing this ? This article caught my eye. How to check what strip material you have been sold ...... pure nickel or the cheaper plated steel. In my mind it's just acting as a coolant then so other liquids could have the same result........could you try some others to further satisfy curiosity ? I'm a bit hesitant to use other liquids like water, because I am afraid of eruptive vaporization. It is just that advantage which flux has that it just crumples instead. Please let us know when Paypal is ready to use. I had them on the phone last Saturday, they told me that unlocking it for businesses is a manual process and that I will have to wait for one to two weeks I will definitely keep you updated, and notify you immediately. Pre order is fine if you do not mind using the 'Stripe' secure credit card payment system. The delay relates to Frank getting his PayPal approved for accepting payments via the web page. Ok good to hear , problem is more that credit card transactions cost the seller more than a paypal transfer. Companies like Visa and Paypal should feel guilty, not you! It was again exaggerated complexity that kept me from getting where I want. There is Paypal, Paypal Express, Paypal PLUS, then they tell you something about different APIs, bank account authorization, and so on. To summarize this: Paypal is now available in the shop, it was again easier/quicker than expected! I wasn't happy with the lifetime of my regular Turnigy 3S/5Ah/50C packs. I know that my usage profile for welding with them was far from daily life duty, I think during my abuse test with the cookie can it was more or less 50% duty cycle at 1kA. I have ruined two packs until they both showed noticable swell. They are still usable, and pulse current is still at 900A, but I am aware that this literally playing with fire, and I wouldn't copying this to anyone. These are rated at 130C (pulse), which is 650A (!). Let's see what they will deliver in practice. I expect that the flux is primarily excluding atmospheric gases as the weld cools, preventing discoloring. You might compare the effect to mineral oil and brake fluid. 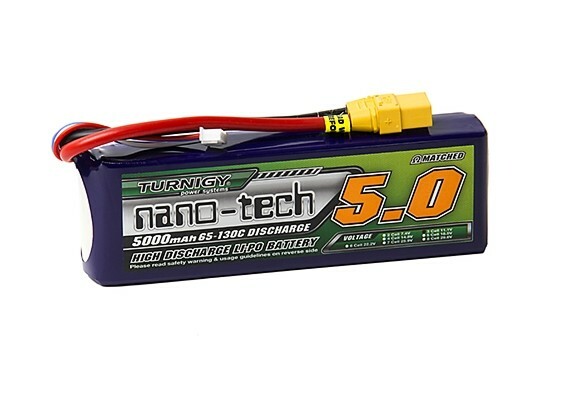 I went with a Turnigy Graphene 6000mAh 5S1P 65 battery. According to Mooch they seem to be the best performers in high current applications (low internal resistance). That is what I also ordered, but 5Ah/3S. Will be interesting to see my system running at 5S, that is still on my to do list. Did you try power up your Gerät by MOT? For users which refuse buy an battery? That'll not work easily because the module expects DC, the power switch is not bidirectional. One would need to add a diode with at 1000A pulse rating at the input, but that would also require a firmware extension that synchronizes firing with the rectified waveform. The options that I can recommend at this time are a capable enough Lipo battery [that still has to be evaluated], a good car battery, and a suitable ultra capacitor. that looks as it is supposed to be, contact me please before shipping as it now looks like this crimp connection and new electrode system are really what I would like. If you like to change, or cancel and redo your order, please just give me a note. I can refund you whathever the difference is, and you don't need to worry about having to pay double shipping. Here are pictures from the first build of the new electrode arrangement. The clamping mechanism works very well. I have done some welds with it, and it develops less heat than the previous design. I'll keep it like that and this is (or the parts for it) is what will be delivered when ordering it from the shop. I decide that a simple hydraulic crimping tool would be useful to have in my tools collection so I have bought one this evening. It is likely not that great for serious work but should meet my needs and those of this project. I also intend to use it as a mini hydraulic press once I have made up some flat face 'dies'. There are two very similar looking versions on eBay. One is rated at 8T, whilst the other has a stronger head and is rated at 10T. The 8T comes with 8 dies and the 10T comes with 9 dies. I went for the 10T version. The cost is £21.99 delivered from a UK warehouse. They are cheaper direct from China but I did not want to wait.